Did you tie-dye your summer? Technically you still have about a month left. What a great way to celebrate a new school year with some DIY apparel designed by you and the kids! 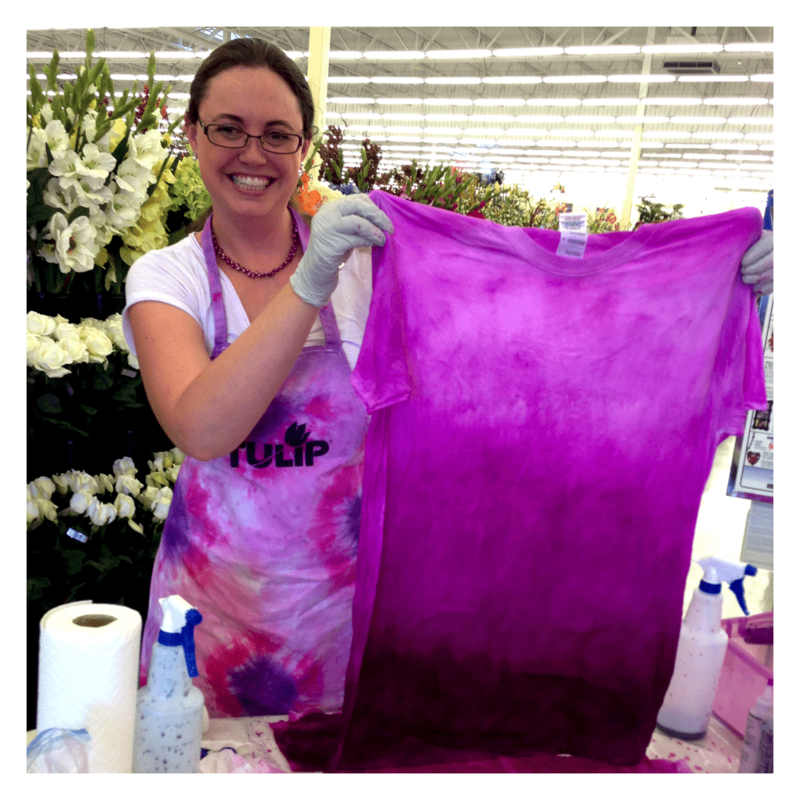 Last week, I had the honor of visiting 3 Hobby Lobby stores to demonstrate how easy and fun the Tulip Tie-Dye Kits are to use. People had a blast and I met so many kids (of ALL ages) who wanted to learn how to tie-dye. I love teaching art and crafts. I grew up as the eldest of 6 kids (plus foster siblings), so have been doing it my whole life. Doing crafts with kids enriches the whole experience I think. As you can see from the picts, tie-dye can be so much fun. If you want to try your hand at this, check out Tulip’s site where they have over 300 tie-dye ideas and lots of tips to make sure your next tie-dye adventure is a colorful one! Also, if you HURRY, you can still enter to win a free iPad Mini and Tie-Dye Party! Craft for Health Celebrates its 1st Birthday!